The Whitley Wildlife Conservation Trust is the charity that runs Paignton Zoo Environmental Park, Living Coasts in Torquay and Newquay Zoo in Cornwall. The charity recently took time to thank every volunteer and to mark the long service of 28 members of the team. 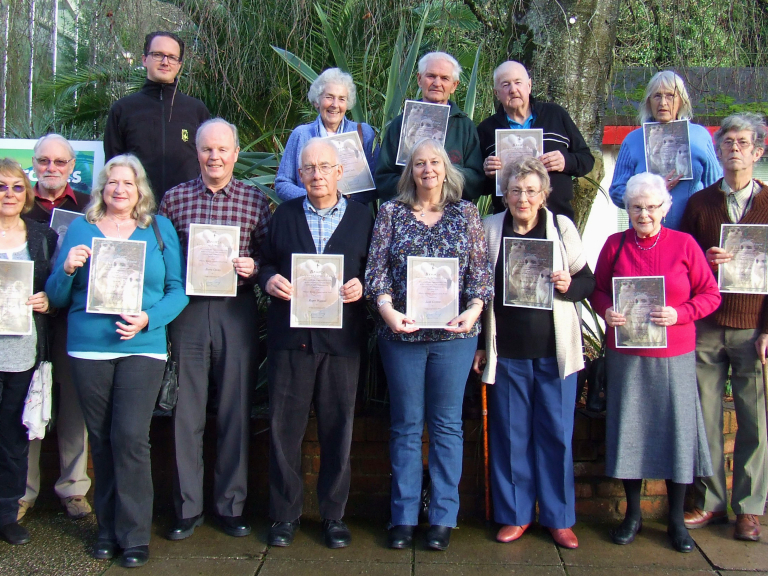 Long-serving volunteers at Paignton Zoo and Living Coasts who had reached milestones of 5, 10, 15 or 30 years were presented with special Volunteer Service certificates by Simon Tonge, the charity’s Executive Director. At Paignton Zoo 121 volunteers engaged in 38 volunteer roles and donated 19,806 hours last year. At the much smaller Living Coasts, 32 volunteers tackled 15 different roles and in 2015 gave 4,056 hours. In addition, the Whitley Wildlife Conservation Trust has 11 volunteer Trustees who provided 217 hours between them. This adds up to a mightily impressive total of just over 24,000 hours. Neil Thomas-Childs, Volunteer Co-ordinator for Paignton Zoo and Living Coasts: “Our volunteers are marvellous, providing invaluable support for our staff and additional activities for our visitors. Without their time and dedication so much of what volunteers do would not be possible.” For more information on volunteering at Paignton Zoo or Living Coasts go to www.paigntonzoo.org.uk/support-us/volunteer or www.livingcoasts.org.uk/support-us/volunteer.